Another big name player has fallen at the 2016 Olympic Games, after Timo Boll was outclassed by Quadri Aruna who became the first ever African to make the quarter-finals of the Olympic Table Tennis. Day three also saw a new Olympic record set for the most points in a single game, after Dimitrij Ovtcharov and his opponent in the last 16 Bojan Tokic scored 64 points between them in the opening end of their encounter. Quadri Aruna (Nigeria) continues to shock the world, after he backed up yesterday’s round three victory over Chuang Chih-Yuan with an amazing win against former world number one Timo Boll. All six games lasted no more than four minutes, despite the fact that games one and two went to deuce. Aruna played some of the best Table Tennis of his career in the match against Boll to book a meeting with Ma Long in the quarter-finals (12-10, 12-10, 11-5, 3-11, 5-11, 11-9). 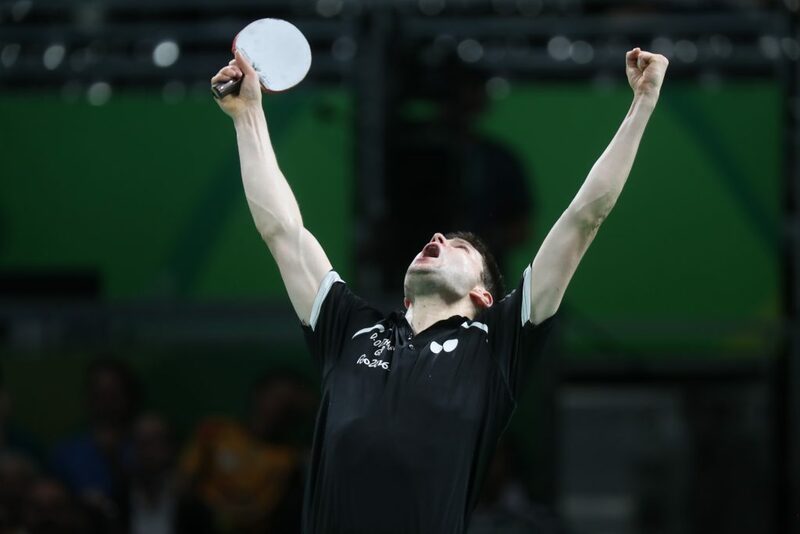 Dimitrij Ovtcharov endured a crazy day three of Table Tennis at Rio 2016 with the German player going to the seventh game against Qatar’s Li Ping in round three, alongside setting a new Olympic record with Slovenia’s Bojan Tokic. Li made it clear from the opening end against Ovtcharov that he was competing to win, as the Qatari representative took the lead. Ovtcharov responded well to his opponent, and eventually won in the final game (8-11, 11-4, 11-9, 7-11, 11-5, 9-11, 11-9). The last 16 tie for Ovtcharov was the record breaking match, as he and Tokic produced a special first game. Both players performed well right from the start of the game and neither could be separated at 10-10, meaning the first player to gain a two point lead would take the end, nothing unusual there. However, little did the crowd know that another 44 points would be played by the duo before Tokic would eventually take the game 33-31. Ovtcharov may have lost the opening game, but he didn’t let it faze him and went on to win the next four ends to seal the match (31-33, 12-10, 11-5, 11-4, 11-7). “I think it was the longest game since the rule was change (sic). I was very disappointed that I couldn’t count that game on my side. But I said Dima: this is the best of one is the best of seven… I think that from game three I showed my best performance during the Olympics and this is what I need to come far,” said Ovtcharov. Next up for the German player is Vladimir Samsonov (Belarus) after he beat Great Britain’s Paul Drinkhall in their last 16 match. Zhang Jike (China) also made an appearance, as the Men’s Singles champion from four years ago defeated Korea Republic’s Chen Chien-An and Adrian Crisan of Romania in rounds three and four respectively. 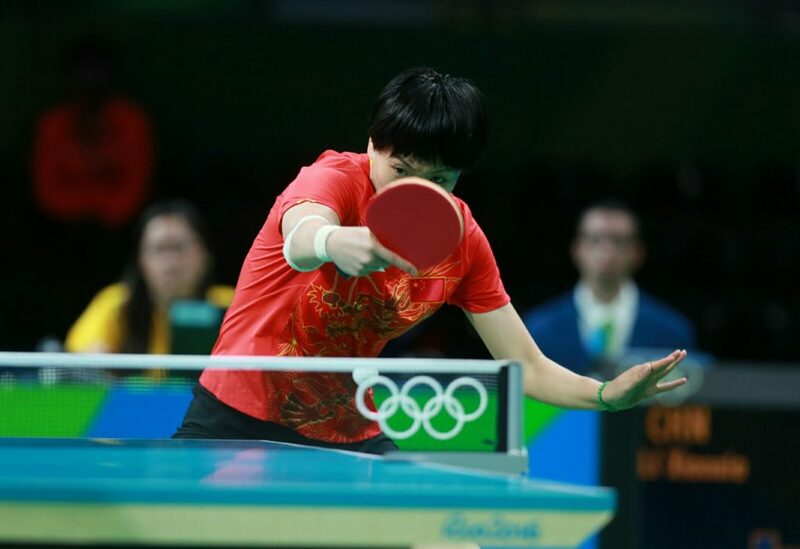 Cheng I-Ching required the full seven game distance in her last 16 match as the Chinese Taipei player won 4-3 against Suh Hyowon (Korea Republic). Cheng made a blistering start to the tie by taking the opening three games, but suddenly out of nowhere Suh gained the upper hand and drew the scores level at three apiece. The momentum was completely against Cheng heading into the decider, but she held firm and sealed her spot in the quarter-finals (11-5, 11-9, 11-3, 4-11, 5-11, 9-11, 11-7), “It was really difficult to read the service; when defending she changes the spin on the ball when playing from the backhand; from the forehand when she defends, she puts a lot of backspin on the ball… I think today, the best part of my game was that I was mentally strong,” Cheng I-Ching said, following her victory. Day three saw the reigning Olympic champion from China Li Xiaoxia, begin her quest to defend her Women’s Singles title and she enjoyed a rather uneventful couple of matches. Germany’s Han Ying is the last European player left in the Women’s Singles competition, after she eliminated Li Xue (France) under Expedite Rule conditions. The Expedite Rule is called into effect after 10 minutes of play in a game or at any time when requested by both players or pairs (but not if at least 18 points have been scored) and sees both players alternately serve, with the receiver winning the point if making an effective 13th return. Han talked about how the Expedite system can change match conditions dramatically, “Tactically when you are playing under the Expedite Rule you must be prepared to make changes.” She added, “When you are serving and you need to attack sometimes you must be patient and wait; on other occasions you need to attack earlier in the rally; today when receiving service I kept telling myself that I must not lose!” Han’s reward for beating Li Xue is an encounter with the number one seed Ding Ning (China) in the last eight.